Disrupt NY is back. On May 5-7, the show will once again takeover The Manhattan Center in New York City. This year marks the 6th year TechCrunch has held Disrupt in New York City. And we say this every year, but this show is going to be the best yet. We’re pleased to announce that New York’s own Fred Wilson will take the Disrupt stage. The co-founder of Skype, Niklas Zennström, and Secret Co-Founders David Byttow and Chrys Bader-Wechseler will also be among the notable venture capitalists, entrepreneurs and founders that will speak during the three-day conference. There will be plenty more speakers and panelists announced as the show draws closer. Tickets are currently available for Disrupt NYC and are on sale until March 8th when they will jump in price by $250. There are also numerous opportunities for startups to exhibitor, sponsor and pitch at Disrupt. Startup Battlefield applications are due Thursday, February 27th at 5pm. Fred Wilson is a VC who claims to have gotten it right, more or less, on social-networking, mobile, and crowdfunding. And actually, he’s right. 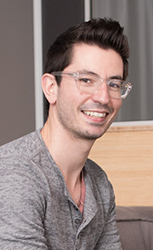 Fred currently practices his early-stage startup funding mastery at his own Union Square Ventures, now 10 years strong, having invested in the likes of Twitter, Foursquare, Tumblr, and Kickstarter, along with 120 other companies. Having made his mark as a VC for nearly 30 years, Fred is a veteran (and still shaper) of modern venture capitalism. And it just so happens he’s one of the rare few who can both do and teach. Fred has lectured at the Stern School of Business at NYU, and has been personally offering valuable insights every day for the past decade on his blog AVC.com, where this week he shared his thoughts on everything from the Mt.Gox closing and recent fluctuation of Bitcoin, to the bigger-picture question he asks himself when he wakes up most mornings: “What comes next” in tech? Disrupt NY will be our opportunity to hear his answers. Niklas Zennström is known for many things – one of these is being Skype’s co-founder. As a longtime pioneer and influencer of the peer-to-peer landscape, Niklas also started Altnet, an early model of P2P commercial content promotion and distribution. Then there was the P2P phenomenon Kazaa, which he also co-founded. 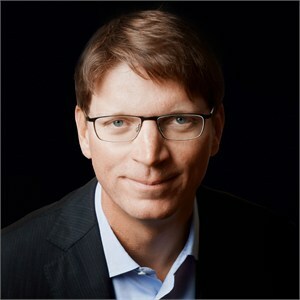 Niklas has remained CEO of Skype through 2007, two years after achieving what is still the largest European venture capital exit to date, having sold to eBay for $3.1 billion. In November Niklas’ firm Atomico raised $470 million for startups in the growth stage, mainly with an eye for companies outside of Silicon Valley. Counting this recent raise, his firm manages $850 million. TechCrunch’s Editor-At-Large Mike Butcher will be interviewing Niklas — and if there’s one brain to pick about the global market and the art of successfully scaling, it’s definitely his. David Byttow has had a major hand in the construction of Square Cash, the Starbucks Project, Wave and Google+. Chrys Bader-Wechseler has been a product manager at YouTube and Google, where he was an architect of Google+. 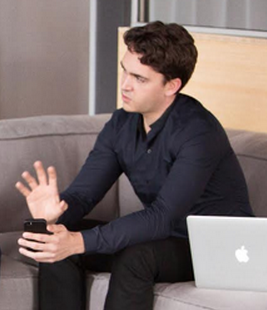 In October these two joined forces to launch their new app “Secret,” the hot anonymous forum for sharing secrets. Only by virtue of working for years inside the box of traditional social media were David and Chrys able to figure out a way to think outside of it. In a few short months, Secret became the second most downloaded social networking app in a matter of days and amassed an impressive following. So far, the world has only gotten a small taste of David and Chrys’ keen insights on shifting social media trends, particularly the increased imperative of anonymity and the emerging phenomenon of the status/share “disavowal” in a post-Snapchat world. Disrupt NY will be one of their first public conversations since the launch of their app. These two guys are likely full of secrets themselves, and not only secrets to social media success, but they also seem to have a few ideas about the general direction of the social media culture at large.